There will be changes to neighborhood routes 137 and 138 from Monday 4 March. 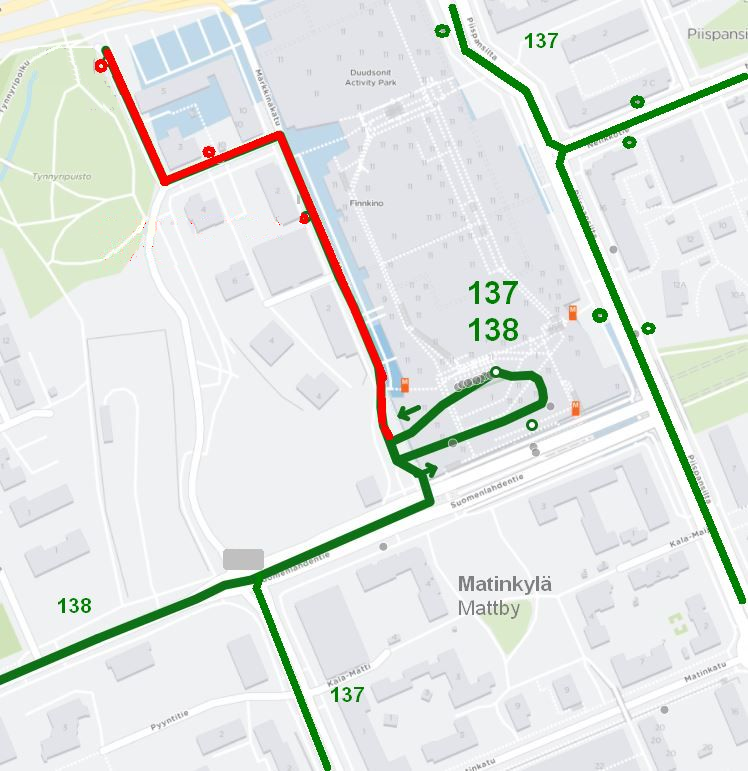 From 4 March, the buses will depart from the Matinkylä bus terminal and they will no longer run to Tynnyripuisto. The buses will no longer serve the "Puntaritie" stops in Matinkylä.